Older kids who have outgrown their child seats but who are still too small for adult-sized seat belts in vehicles still need to be properly secured. But recent research suggests this isn’t happening. 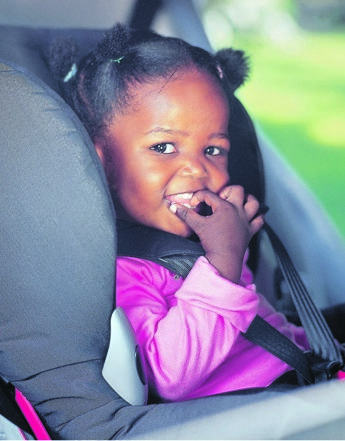 Findings from the Automobile Association’s (AA) Child Safety Seat Survey conducted last year highlighted that a quarter of motorists admit to driving with their under-12 children unrestrained. Humans suffer from a form of psychological blindness called the It Won’t Happen To Me Syndrome. This blindness leads people to think that their driving skills are above average and are good enough to get them out of any problem. Most people drive in a state of dangerous over-confidence. The problem is not that they might be bad drivers but that no one can predict the future and trouble will slam into you faster than you will realise. Study after study shows that children who are not properly restrained in a collision, even at slower speeds, will be seriously injured or killed. At the moment of impact, an unrestrained 10kg child in a collision will fly forward in the same direction into any solid surface at 60km/h with a weight of 600kg! There is no person who will be able to stop that child from being horribly injured or killed. People who have children sit on their laps while driving are reckless and irresponsible – never do this! The AA said too many parents or guardians do not restrain children after they grow too big for baby seats despite them being too small for adult-sized seat belts. In this case, drivers must look for booster seats or other restraining devices built for older kids and fit them to the vehicle’s seats. If you let children sit unrestrained in a moving car, you gamble with their lives. To assist parents or guardians make the right decision about car seats, the AA has published the results of tests conducted by the General German Automobile Club and the Programme for the Evaluation of Child Retention Systems for Latin America and Caribbean. The tests used many of the same car restraints that are available in South Africa.